If I can feel good so can you! 70-80% of the population has a Magnesium deficiency. Chances are that Magnesium will help you feel better and it will improve your health significantly, but only if you do it right. If you only take multiple vitamins or cheap magnesium from the drug store, it most likely won’t do anything but make you have diarrhea or runny stools. If you have a magnesium deficiency, and most people do, it is very important to take more at first to get your levels up. The problem is that a lot of magnesium will make you go to the bathroom. A lot. Fortunately some magnesium doesn’t do that. I suggest you do the necessary research and read up a little so you don’t just end up grabbing a bottle next time you see it at the store, and then later say it didn’t work. Knowing why you are taking something and understanding the potential benefits will help guide you to successfully dealing with any problems you may be trying to get rid of. What can Magnesium do for me??? At the very least boosting Magnesium levels can help you sleep better and reduce stress and anxiety. It can also make you a stronger healthier person in a lot of ways. Me – I sleep better because of boosting my Magnesium levels. A lot of people say they do! If you have ailments (and who doesn’t) there is a good chance you’ll feel better and maybe even forget you had those problems when you start taking a good Magnesium supplement. Magnesium is a necessary cofactor utilized by 700-800 enzyme systems that perform vital metabolic functions in the body. It took me a whole book, The Magnesium Miracle, to describe the intricacies of magnesium physiology. After reading that book you’ll agree that miracle is the most suitable word to describe a mineral that treats acid reflux, adrenal fatigue, angina, anxiety, atrial fibrillation, high blood pressure, high cholesterol, constipation, depression, diabetes type 2, fibromyalgia, headaches, heart attacks, IBS, insomnia, kidney stones, migraines, muscle spasms, nerve twitches, osteoporosis, PMS, seizures and more. I’ve just listed many chronic conditions that people are suffering from today, yet has your doctor ever told you to take magnesium? Probably not. That’s because nutrient therapy is not taught in medical school. Magnesium is not regarded as a first-line therapeutic agent in hospitals or doctor’s offices and it’s not a patentable drug. For all these reasons, mainstream medicine remains blind to the extent of magnesium deficiency that is reported to be present in 70-80 percent of the population. I will make it easy by providing the links to Magnesium Info downloads and info about the right kind of products. If you are not yet convinced you need magnesium – this will set you straight. Additional info on the kinds of symptoms people have when they are magnesium deficient. Me – I use 3 different kinds of Magnesium as of about July 2016 and I can tell a huge difference. Especially in sleeping and general well being. I personally have not done mega doses but have worked my way up to taking more of it. 4) ReMag – Super effective but expensive, but good, because you can put a spoonful of the liquid in a bottle of water and sip it throughout the day. I use this in addition to the other magnesium I take. Read the reviews on amazon. People love this. Jigsaw might be the best one to try first. Also read the reviews on amazon. People say how their lives have been changed. I do not like to run out of this. It helps me sleep like a baby. Originally I took the one with B vitamins, but there is also a version without the B which is better for me since I already take a B Complex. Both are great! I started with 1 once a day and worked up to 2 once a day within a few days and now I take 2 in the morning and 1 or 2 in the afternoon. If you are deficient you may need to take more to notice results. 6) Natural Calm – fizzy fruity powdered drink. I originally bought this for Mom, but unfortunately she hardly ever wants it, (she generally never wants anything healthy – not even food). I have it once in a while after lunch, or take it when I run out of the Jigsaw tablets. 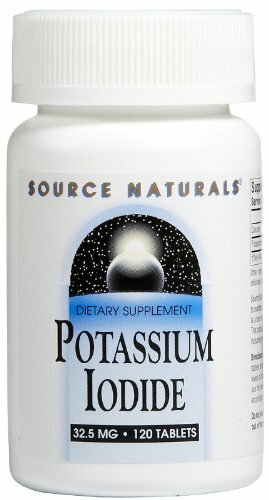 Just make sure you get a good quality magnesium such as the ones I linked above. Most Magnesium or Cal/Mag supplements or even multiple vitamins with it will not do the job. Magnesium is the one thing I think everyone can benefit from supplementing with. after discovering what it does for me I can’t imagine going without it. You will have a better understanding of what Magnesium does for the body if you read the materials above and download the pdfs to read later or at your convenience. The reviews and success stories on Amazon will also help you to see what it has done for people. Not one or 2 people but hundreds are sharing their stories. You can eat foods high in Magnesium, but remember that if you have a deficiency you will need more than a handful of spinach or a handful of almosnds to solve the problem. The soil isn’t what it used to be. Most food and vegetables simply do not have enough vitamins and minerals to be helpful to solve deficiencies. Well, I hope this is helpful for you. Magnesium has helped me. That’s why I like to share. It’s one of the few sure things that should be able to help almost anyone feel better! If you think this is a sales pitch – nope – the only benefit I get is helping people. I don’t make a penny in any way! The answer is yes. Green Beans are rich in Vitamins and minerals. Well I go to the excellent Website World’s Healthiest Foods to get all the data and the verdict is green beans are good for you! I highly recommend World’s Healthiest Foods whenever you have a question about a particular fruit or vegetable! Me – I love green beans. I can eat a load of them almost any time. Usually more than a cup at each meal when I eat them. Go eat some green beans! A little bit of movement is good for everybody. There’s an old Asian saying to the effect of, “a body without movement is like standing water, moldy, spoiled and rotten.” We’re designed to move our bodies through space. Unless you are entirely bedridden, there is always some way to get in a bit of movement, which you can build upon little by little. One of the reasons we may have a psychological block to exercise is that we think we must devote a single, large chunk of our day to it. Where can anyone find a half hour or an hour to do anything more than what we’re doing now? But what if you put in a few minutes here and there? That’s right, they all add up! In fact, research shows that several 5-minute sessions of heightened activity followed by rest may be more beneficial than a whole hour of exercise. Soil Microbes and Intercellular Communication… what a concept! A very interesting video interview with a doctor who found that what he was taught in medical school was not what was needed to help people. His epiphany led him to soil science. Deficiencies are caused by food not having the proper nutrients. The soil is getting decimated. People need to wake up. Do you want to feel better? Wanna feel good? Be healthier? I do. OK — I am fortunate to have found something that has helped me improve my life a lot over the past few years. If you have 5 minutes watch this video. It’s from a TV show called “Know The Cause”. I hate to be preachy, but I have found this little known concept to help others too. Of course most people resist and are skeptical for some reason. Maybe this is exactly what you need right now. On my pages and groups I often hear people saying they are “sick” with one thing or another. I often hear them say it’s hopeless or incurable or they don’t seem to have any interest in doing something to improve their situation. All I can say is that this is real and it has been life changing for me – so why not give it 5 minutes to see if you connect with it. And if you think this is a sales pitch – nope – the only benefit I get is helping people. I don’t make a penny in any way! I can remember doing breathing exercises in the original courses I took way back when from Tony Robbins. This seems to be a hugely amplified version. I regularly do research on vitamins and minerals to see what the benefits are and consider how they may fit in to my nutritional program. I also try to find as many antifungals as I can. I am often surprised by what turns out to be antifungal. Potassium Iodide for example is antifungal. I was doing some research on magnesium and potassium and ran into the World Health Organization’s List of Essential Medicines. I just added an article on the List of Essential Medicines. While the foucs is more on medicines that are pharmaceutical in nature, it also has vitamins and minerals. It is a very thorough list and is available for download as a pdf. If you are like me you have been reading labels on food products to check that the ingredients do not contain things you do not want to eat. This is especially important if you are following diets and nutritional regimens such as the Doug Kaufmann Phase One Diet or a “Grain Free” or Gluten Free diet. You know…. 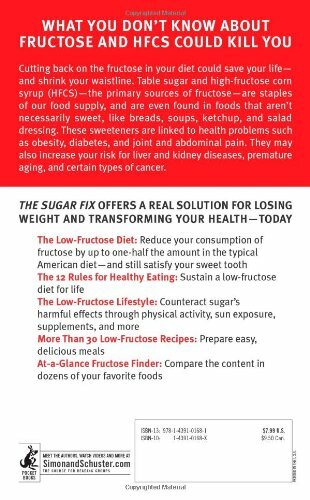 we try to avoid things like high fructose corn syrup, monosodium glutamate (MSG), yeast and so forth to maintain a higher level of health and wellness. Also avoiding excessive sugar and processed ingredients. I have gotten pretty good at it. I can usually spot the preservatives and artificial ingredients and avoid making poor choices. So at the very least I know when I prepare my own meals that I can be sure I am following my own path to health. Now – it’s not always easy to find out the ingredients in the food we eat. I just recently had a good old fashioned meal with family and decided to look at one of the cans in the garbage and sure enough the diced tomatoes had high fructose corn syrup. If I were reading the labels I’d try to buy only foods that were pure or close to pure, especially when recipes call for stuff in cans. Dining out can also be risky. When we eat out we don’t get to see the full list of ingredients or even have any idea of what products are used. How do they make the sauce? What’s really in that gravy? Also – some labels can be intentionally confusing or even misleading. That’s because some big food companies have managed to change the names and hide ingredients. Also what exactly are “natural flavors”??? I’ve read that is actually another name for MSG??? I don’t know that for a fact but now that I heard that I am very suspicious when ingredients list natural flavors. At the very least “natural flavors” must be processed to the extreme in some labratory concoction. And let’s not even get started on GMO’s right now. Boy – who would have thought that eating good healthy food would be such an adventure? I recently started a new journey with Dr. Christopher and his Kidney Formula and his Blood Stream Formula supplements. I started about 2 weeks ago and have about 4 weeks more to go before completing the program. I have long been a fan of Dr. Christopher’s Formulas since my nutritionist introduced me to his Lower Bowel Formula about 6 years ago. At the time it was a critical part of a new health regimen that was primarily intended to rid my body of toxins. Part of this process includes clearing the way so that the digestive system can easily push out the bad stuff. The Lower Bowel Formula was one of those supplements that you took and immediately noticed. Some things you barely notice or maybe even not notice…. Lower Bowel Formula wasn’t like this. When I followed the directions my nutritionist gave me and took properly after each meal, the Lower Bowel Formula set my system on a reset and helped me get used to eliminating regularly almost after every meal. I went from 1 bowel movement (2 max) a day to 3 or 4. Even after I stopped taking them I had trained my bowels to eliminate more often. Along with the other things I was doing on this health and nutrition program I could really feel a huge difference in my well being. I’ll save a detailed description of that adventure for another time, but I just wanted to reinforce the fact I respect Dr. Christopher and his unique method of grouping herbs together into formulas to accomplish certain goals. If you’d like to learn more about Dr. Christopher I suggest visiting his Herbal Legacy Website and signing up for his newsletter. There are 90 Posts and 141 Comments so far. Check out my music! It's free!